A few years ago I had the pleasure of spending the day in Roland’s Dovedale Bread factory. I really enjoyed watching the process of delicious bread being made from scratch with good ingredients. Since then I have been a huge fan, and in this week’s feature, I chat with Roland about his company. Firstly, tell us a bit about how Dovedale Bread began? Dovedale began in 1996 on our farm in Dovedale. I had noticed from my early days in Sydney, growing demand for gluten-free bread. 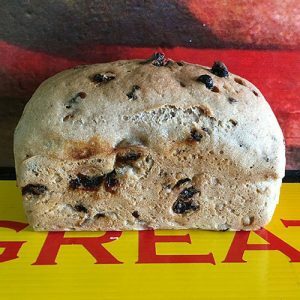 So, after selling my Australian gluten-free bread company, we started Dovedale Bread, which began with just one product, Dovedale Rice Bread. I also learned from my Dallas Bread NZ experience and invested in a vacuum packing machine, to ensure longer shelf life without preservatives. Dovedale Bread was the first gluten-free bakery to distribute nationwide, and soon we had a thriving business supplying supermarket chains. The Dovedale philosophy is that products should taste good and also be good for you. So, we use mostly organic ingredients and add no sugar, eggs or dairy to any of our bread. We have since 2012 expanded our range to include biscuits and crackers. Driving our growth in the last two years has been our Paleo range. My favourite would be our Paleo Turmeric Bread. We also use the same dough to make Paleo Turmeric Buns. Despite the often temporary nature of trends, Paleo shows no signs of going away. So, we are keen on introducing more paleo products. Paleo biscuits will be next! 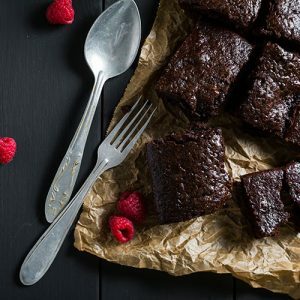 Could you share some serving suggestions or recipe ideas using your product? Toast Dovedale’s Paleo turmeric Bread, then smear with pesto. Grill halloumi, add to the bread and finish with cracked black pepper! Yum! That sounds amazing, thanks, Roland. My personal favourite are Dovedale’s Choc Ginger Biscuits. Spicy and warming and perfect dunked in tea! Don’t forget to head to Fresh Choice Nelson for your Dovedale bread, biscuits and crackers. A roast is always welcome in our house after a cool Autumn day. But, when you get home from work, there isn’t always the time or motivation to start cooking a big meal from scratch. For this reason, I love our slow cooker. You can prepare the ingredients beforehand, drop them into the slow cooker, and then come home to a house full of delicious cooking aromas. 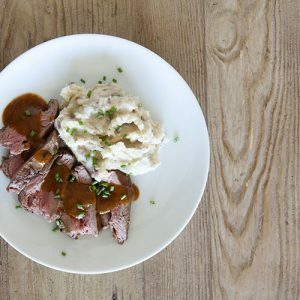 I like to cook the beef and serve it with creamy mashed potatoes. But, for an even easier meal, you could cook the potatoes in the slow cooker while the beef is cooking. Being autumn, broccoli and cauliflower would be an excellent seasonal accompaniment for this dish, perhaps with a bechamel sauce. This is slow cooker comfort food! Wash the marinade off the outside of the beef and pat dry with paper towels. Pour the water and vinegar into a slow cooker, and drop in the thyme and peppercorns. Peel and cut the onion into quarters. Peel and crush the garlic clove, add both to the slow cooker. Slice the carrots and leeks and add to the pot, then sprinkle in the brown sugar. Lastly, place the meat into the slow cooker, cover with the lid, set to low and leave for seven hours. When you come home from work or play the beef should be cooked to perfection. Serve with mashed potatoes, and dig into a hearty slow cooked meal. Boil a pot of salted water. Peel the potatoes and chop into medium sized pieces. Add potatoes and cook until tender but still firm, about 15 minutes, drain and let them steam out for a few minutes. In a small saucepan heat, the butter and milk over a low heat until the butter is melted. Using a potato masher or electric beater, slowly blend the milk mixture into the potatoes until smooth and creamy. Add the sour cream and chives. Season with salt and pepper to taste. Don’t forget to head to Fresh Choice Nelson for all your slow cooker feast ingredients! 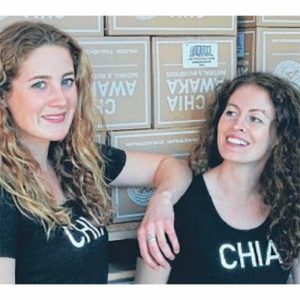 This week I had the pleasure of chatting with Chloe from Chia about their delicious range of drinks. Chloe and her family have worked tirelessly to build up a load of tasty, healthy locally made products. I always love supporting products made by good people who are doing exciting and innovative things. Firstly, tell us a bit about how CHIA began? My Dad, Ben, is a swimmer, and my sister, Florence, is a triathlete. I wanted to create a nourishing drink full of essential nutrients to help them with their busy lifestyles. Chia seeds are rich in many of the nutrients we need more of in our diet, such as magnesium, omega 3, iron and fibre. But, the seeds need to be hydrated for the nutrients to be used by our bodies. My dad and I hydrated the chia seeds and then added local blackcurrants, and our first CHIA product was born. Our aim is to create the healthiest beverages available in the most sustainable way we can. In the past year we became Nelson’s first certified living wage employer and New Zealand’s first solar-powered juicery. CHIA blackcurrant of course. The rich Nelson blackcurrants are a world secret and blended with hydrated chia seeds, makes the perfect health kick. Second up, is our fresh pressed apple and boysenberry juice, called ‘Bottled by the Sun’. This uses Nelson apples and Tasman Bay boysenberries. A great way to promote the wonderful growers here in Nelson, and that we are harnessing the Nelson sunshine to produce this juice. While CHIA is a great on the go drink, it is also a delicious and nutritious option served over coconut yoghurt, breakfast, or made into frozen ice blocks for the kids. Thanks, Chloe, must be time for a stroll in the sun to Fresh Choice Nelson to pick up a nice cold bottle, or two, of CHIA. For 2019 the Grocer at Fresh Choice Nelson has asked me to write about some of the outstanding local producers he supports. In turn, these producers support his goal of bringing the very best products to you at the very best prices. 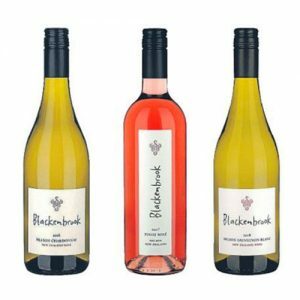 One wine producer he has had a long and successful relationship is Blackenbrook Wines. The Grocer knows he can rely on their wines to deliver the purity of varietal flavours that make their wines so special. When Daniel and Ursula Swarzenbach moved to Nelson in 1998 Daniel worked as winemaker at Seifried Estate. At the same time, he and Ursula searched for the perfect site to plant their own vineyards. When they bought a piece of rolling hillside land at Tasman overlooking the estuary, they set about establishing the vineyard. Daniel continued to work as a winemaker. Working long days at one job and then coming home to work even longer hours in their own vineyard showed how this couple are prepared to work incredibly hard with a determined focus to produce the very best wines they can. From the very first post they put in the ground to designing and building their environmentally friendly winery, the Blackenbrook vineyard was designed to extract the best from each variety. They use growing and processing techniques that have as little impact on the environment and the fruit as possible. The attention to detail in everything they do means the grapes can express the varietal purity that is a hallmark of all their wines. Even with the attention to detail, they manage to get the wines in your glass at very affordable prices. This is thanks to the great relationship they have with the Grocer at Fresh Choice Nelson. Wines like the Blackenbrook chardonnay and the Blackenbrook Pinot Noir Rose, are both $19.99, a saving of $5. Blackenbrook Sauvignon Blanc is $16.99. All express beautiful ripe flavours with complexity coming from the soils in the vineyard rather than lots of winemaker influence. 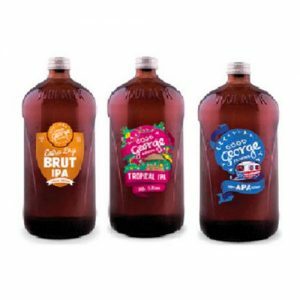 Pop a bottle or two in your shopping trolley when you next visit Fresh Choice Nelson, and you won’t be disappointed. As we enter late summer there is still plenty of summer fruit to be enjoyed. Even with our current dry conditions, when most other things in our garden are looking pretty sorry for themselves, our passion fruit vine is thriving. I really like passion fruit, and it goes so well with late summer dishes, particularly summer puddings. Originally from the Amazon, it’s high in fibre and a good source of vitamin C, and though it’s only available for a short time, it’s a real treat when it’s around. 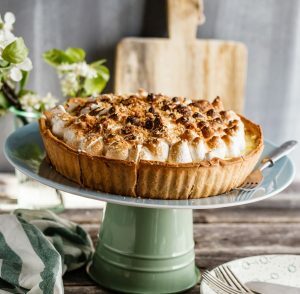 Here’s a twist on a traditional meringue pie; Passionfruit Meringue Pie! Light and fluffy meringue paired with the sweet but tart flavour of Passionfruit, on a sweet pastry base. You could make your own sweet pastry for the base, but great ready-made options are available in the freezer section at Fresh Choice Nelson. Heat the oven to 200C. Dust the work surface with a little flour, roll the pastry out to the thickness of a $1 coin. Line a deep, 23cm loose-bottomed flan tin and chill until firm. Line with greaseproof paper and a layer of baking beans, then bake for 20 minutes. Remove the paper and beans, then return to the oven for five minutes until pale golden. Leave to cool. Cut the passionfruit in half, then scoop out the pulp of ten into a sieve over a large jug. Rub the pulp and juice through the sieve, discard the seeds. Scoop the pulp and seeds of the remaining fruit into the juice. You should now have 150ml in total (make up with orange juice if there’s not enough). In a pan, mix the cornflour with the sugar, then gradually stir in 200ml cold water followed by the passionfruit. Stir over a medium heat until the mixture boils and thickens. Take the pan off the heat and whisk the yolks into the hot mixture. Reduce the oven to 180C. Whisk the egg whites into stiff peaks, then gradually whisk in the sugar until thick and glossy. Reheat the filling briefly, then spread over the pastry base. Spoon the meringue over the filling, starting from the pastry edge and working your way into the middle, then gently swirl the spoonfuls together. Bake for twenty minutes until the meringue is lightly golden. Serve warm or cold. YUM Granola a local favourite. I love how Fresh Choice Nelson is so supportive of local products so for the next few months I will be chatting with the local folk making fabulous products that can be found in store. First up, I chatted to Sarah, the Director of Deliciousness at YUM Granola. Q: Firstly, tell us a bit about how YUM Granola began? A: I came up with YUM while I was working as a sous chef at a lodge in Wanaka. I couldn’t find anything on the market that didn’t taste like sugar-coated oats! So, I did what I knew how to do as a chef. I put together my creation based on the ingredients I wanted, chosen for both their flavour and nutrient profile. Thus YUM was born! Q: What is the philosophy behind your products? A: “Thoughtful, delicious sustenance to fuel your journey”, is very accurate! Our goal is for YUM to be a thoughtful product from beginning to end! We use organic ingredients, from New Zealand where possible. 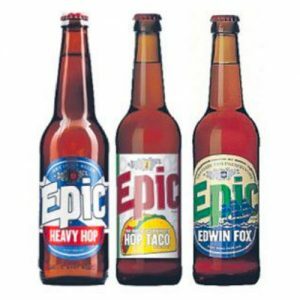 We have the best producers here in NZ, so it is great to use them. Our hazelnuts come from Blenheim, our honey from Nelson Honey, our blackcurrants from Timaru, our quinoa from the North Island and linseed from Geraldine. Our packaging is as minimal as possible, while being recyclable and hopefully reusable. Q: What is your favourite product? A: My favourite right now is our new flavour, Superseed Granola Clusters. It is so good! We are really proud of it as it took us a while to get this one right. 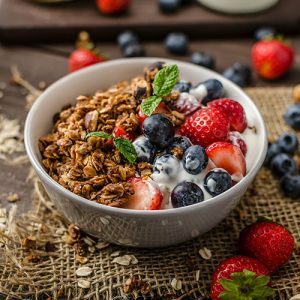 It’s unlike anything on the market, as most clusters (or granola for that matter) are held together with a lot of sugar! We wanted to be part of the solution for people who aim to reduce the amount of sugar in their lives. So, we have a special process to make these amazing clusters, that are good enough to eat straight from the bag! Q: Could you share some serving suggestions using your product? A: YUM is great served with Nelson’s fresh berries and fruit. We just discovered the Dark Chocolate Granola mixed with Appleby’s vanilla ice cream is dangerous! Head to Fresh Choice Nelson to pick up your YUM granola! When Andrew Greenhough and Jenny Wheeler bought a very basic hobby vineyard in 1990 and set about expanding and improving it, I’m not sure they would have thought their wines would become as highly regarded as they are now, some twenty-nine years later. 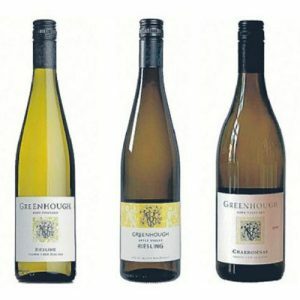 The Greenhough label is one that seasoned wine buyers look for when they are searching for outstanding value for money. The wines are handcrafted by a small team of skilled and passionate people. Every effort is made to produce the best wine possible. Starting in the organic vineyard right through to ensuring you have a well-made, delicious wine in your glass. The Greenhough Hope label is their top label, and the wines are made from fruit grown on the home vineyard. That said, the same care and attention that places the Greenhough Hope label in the premium quality circle also go into the Greenhough label. This is where the smart buying is. The Grocer at Fresh Choice Nelson City knows you love wine at great prices, so he always has a range of Greenhough wines on the shelves. I love their Apple Valley Riesling, Chardonnay and Pinot Noir in particular. The Sauvignon Blanc ($16.99, a saving of $5) they make is not just great value, but it reflects the slightly riper style Nelson is known for, while still delivering beautiful Sauvignon Blanc flavours. The Greenhough Apple Valley Riesling ($21.99) is outstanding summer drinking. It is a lower alcohol wine with fine acidity balancing the ripe fruit. I am a Chardonnay fan, and the Greenhough version ($22.99) regularly finds its way into my shopping basket. Andrew has a deft hand when it comes to using oak barrels to add complexity to his wines. They aren’t big, fat wines, rather the Chardonnay he makes tends to have a citrus backbone but with layers of complexity from the use of oak fermentation and ageing. Want wines that deliver flavour and outstanding value for money? Then look for the Greenhough label next time you visit Fresh Choice Nelson.